The creamy white petals of the magnolia flower are extraordinarily velvety, sensuous yet delicate, as is the new Magnolia Nobile Body Cream. Perfect for the sophisticated, feminine woman who lives her life with intensity and style. Notes of Italian citrus, precious florals and sensual woods combine in a feather-light body cream for a luxurious and truly sublime experience. Notes: bergamot, citrus accord, lemon, magnolia, jasmine, rose, tuberose, patchouli, sandalwood, vetiver, vanilla. 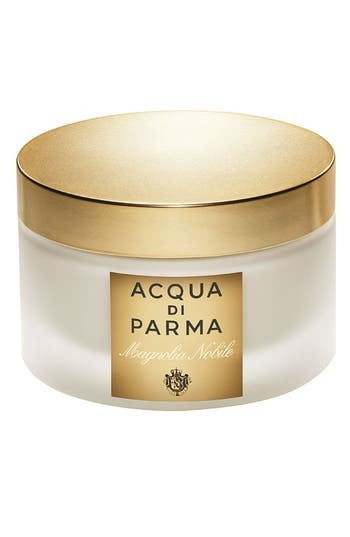 Style Name: Acqua Di Parma 'Magnolia Nobile' Body Cream. Style Number: 304172. Available in stores. Immerse yourself this season in Nectarine Blossom and Honey, a delicious fruity fragrance that tells the story of an early morning visit to London's Covenant Garden Flower Market a sweetly scented oasis in the heart of the city. The result is a youthful scent which wraps the notes of enticing fruits and delicate spring flowers in the warmth of acacia honey. 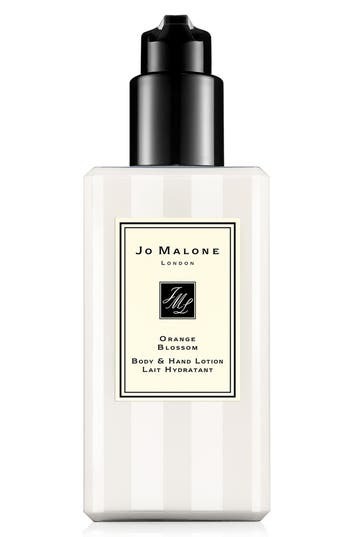 Style Name: Jo Malone London Nectarine Blossom & Honey Body & Hand Lotion. Style Number: 317423. Available in stores. The luxurious Jimmy Choo Perfumed Body Lotion envelops the skin in a veil of feminine sensuality, leaving it fragranced with the glamorous scent of fruity chypre with warm, rich, woody depths. Notes: sweet orange, pear nectar, tiger orchid, Indonesian patchouli, caramel. 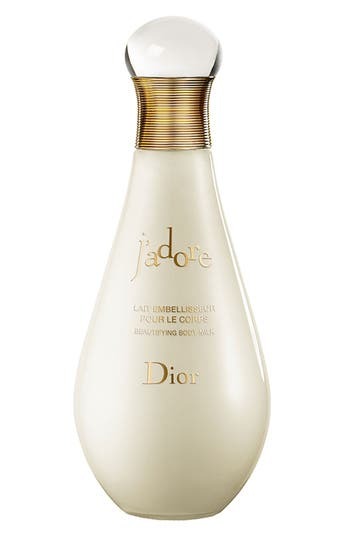 Style Name: Jimmy Choo Perfumed Body Lotion. Style Number: 370599. Available in stores. An original creation from Cartier's in-house perfumer, Baiser Vole, meaning 'Stolen Kiss,' is the expression of love according to Cartier. A story of pure passion told through a strikingly feminine and rare flower: the lily. 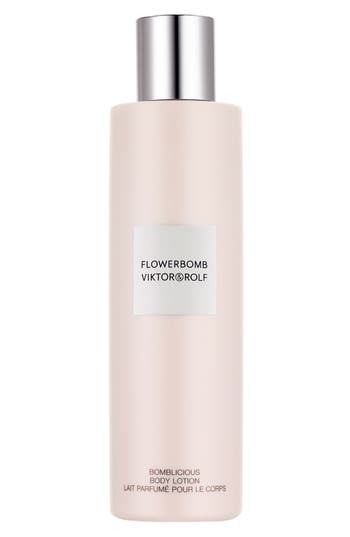 Baiser Vole is a pure floral fragrance, reflecting all its perfection for the first time: fresh, floral and powdery. 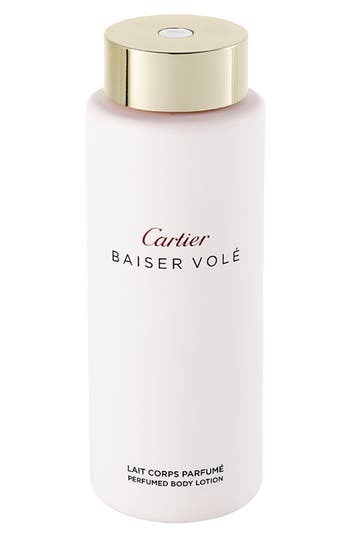 Style Name: Cartier 'Baiser Vole' Perfumed Body Lotion. Style Number: 376789. Available in stores. 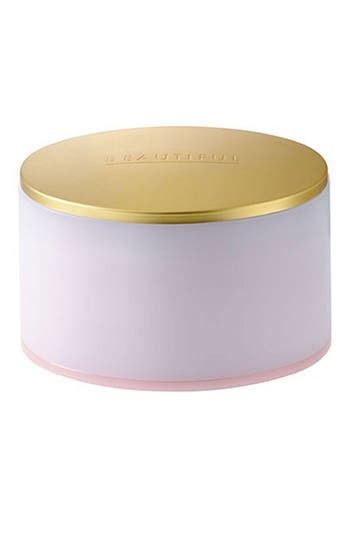 Adding to the Gourmande Body and Bath Collection, Laura Mercier introduces Body Butters. 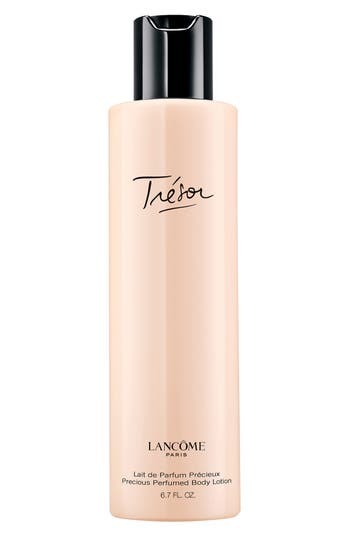 Packed with good-for-you ingredients, this new super-rich moisturizer absorbs quickly into skin. Shea butter, illipe butter, grapeseed oil and jojoba esters work to moisturize and hydrate the skin, while honey and aloe vera help soothe. 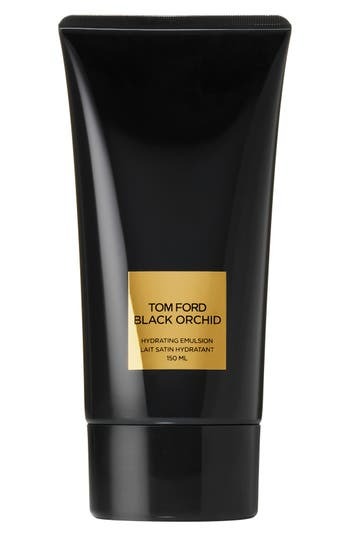 This super-rich Body Butter delivers the ultimate in hydrating luxury. 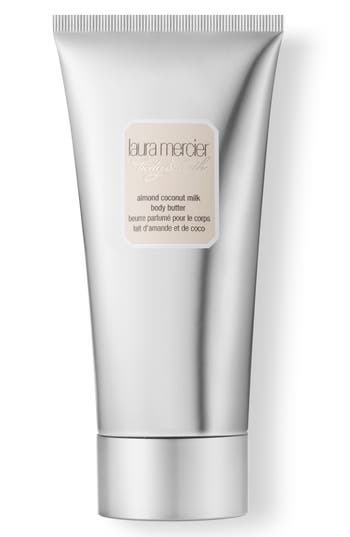 Style Name: Laura Mercier Almond Coconut Milk Body Butter. Style Number: 385743. Available in stores. 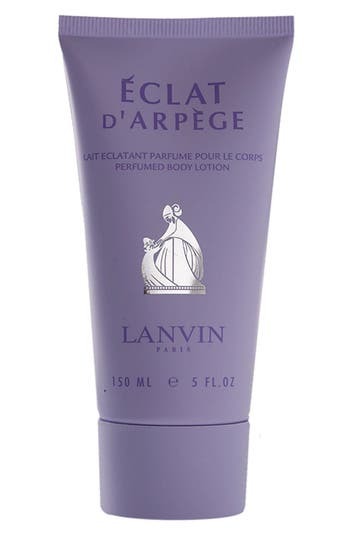 This lightweight, moisturizing body lotion, applied after the bath or shower, leaves skin smooth, supple and gently perfumed. 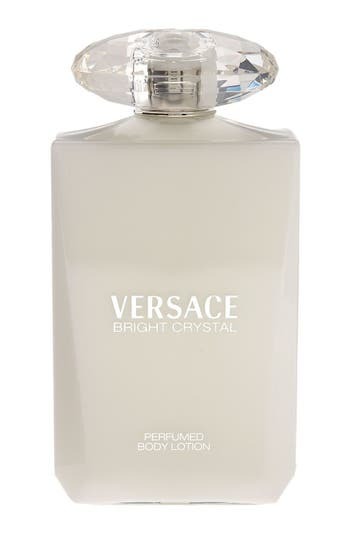 It's a luxurious way to experience the intrigue of this sensual and feminine chypre, its notes of bergamot, patchouli and moss interwoven with leather, flowers and spices. Ideal for layering with the Bottega Veneta parfum, eau de parfum and shower gel. 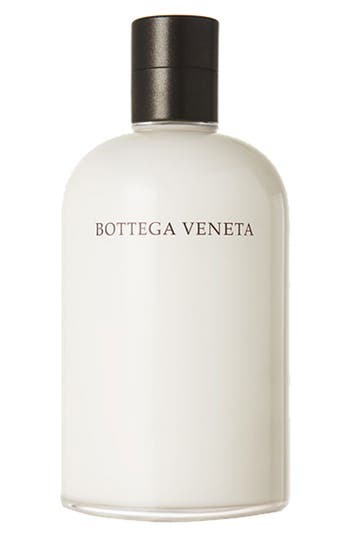 Style Name: Bottega Veneta Body Lotion. Style Number: 500622. Available in stores. 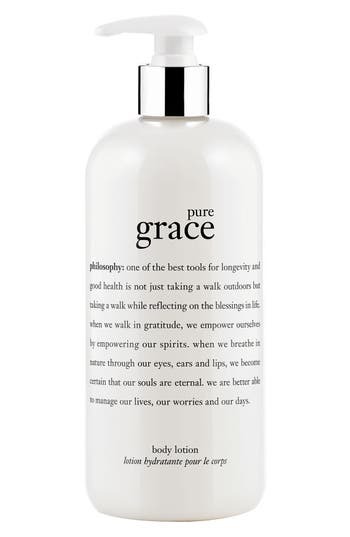 Pure grace satin-finish body oil mist is enriched with natural oils to moisturize and condition for luxuriously soft, lightly scented skin. Slip into your best satin dress with pure grace satin-finish body oil mist. The fine, multipurpose mist is formulated with natural sunflower and olive oils, as well as vitamin B5, to help moisturize and condition skin for a luxuriously soft, satin finish. The lightweight, dry oil formula absorbs instantly and is infused with our soap and water clean fragrance for luxuriously soft, lightly scented skin. 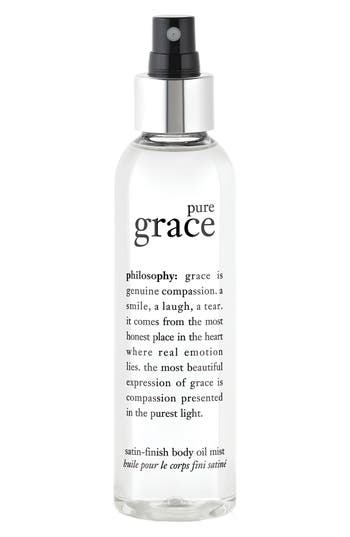 Style Name: Philosophy 'Pure Grace' Satin-Finish Body Oil Mist. Style Number: 528895. Available in stores. What it is: A collection that takes you on a sensual, luxurious and elegant journey from the Mediterranean to the gates of the East. 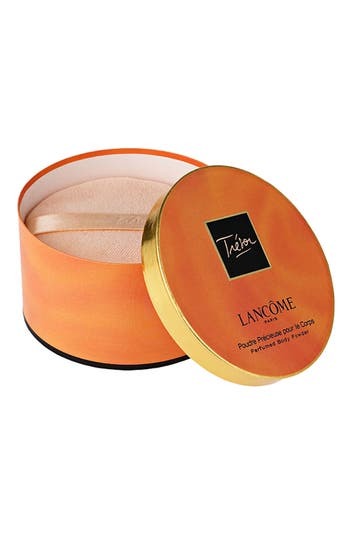 Set includes:- Smoothing Body Polish (1.7 oz. )- Revitalizing Shower Gel (1.7 oz. 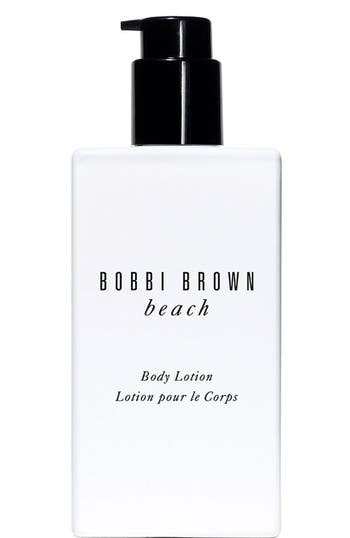 )- Fresh Lotion for the Body (1.7 oz. )- Luxurious Hand Balm (1 oz.) Style Name: Diptyque The Art Of Body Care Set. Style Number: 565791. Available in stores. A perfume with an astonishing sillage. Every aspect of the lily, a flower of unsettling femininity, is explored for the first time. Passion, the intoxicating aura of which makes men fall under its spell. A raw emotion, a stolen kiss, for a moment of pure passion. 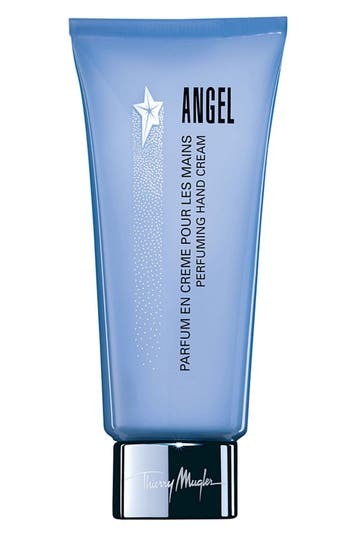 Enriched with extract of lily, known for its emollient qualities, the perfumed body cream moisturizes for a sensation of comfort and well-being. 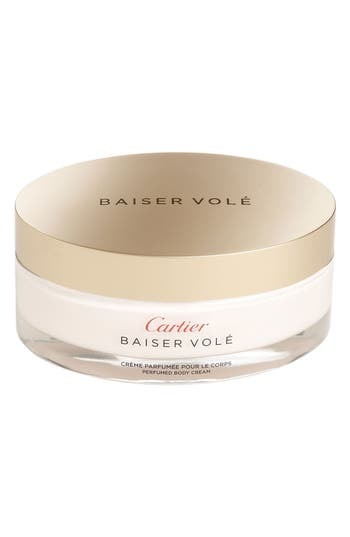 Style Name: Cartier 'Baiser Vole' Body Cream. Style Number: 604021. Available in stores. Inspired by the Mediterranean seductress, Cleopatra captivates the senses. 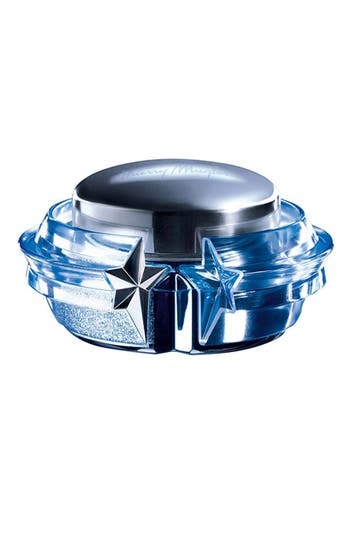 Used in the famous Queen's beauty rituals, watery cucumber and sweet grapefruit leave a sweet, clean scent. 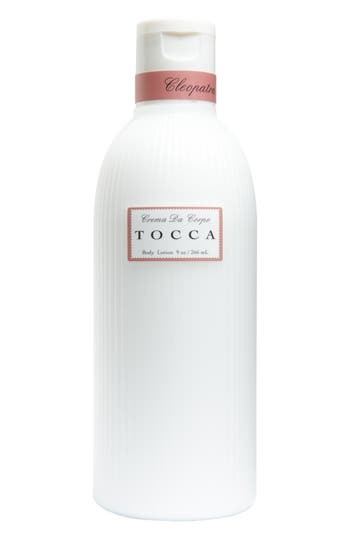 TOCCA's body lotion is enriched with natural extracts from sweet almond, shea butter and honey to moisturize and soothe dry, sensitive skin. 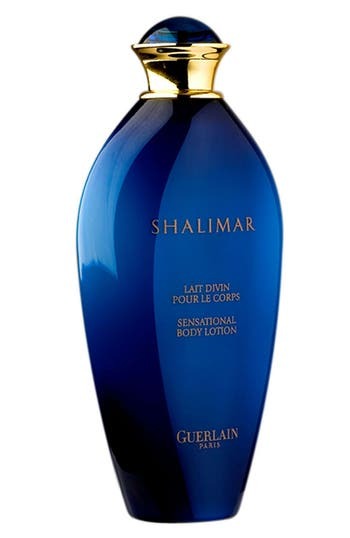 The luxurious formula absorbs quickly, leaving behind a beautifully silky texture. 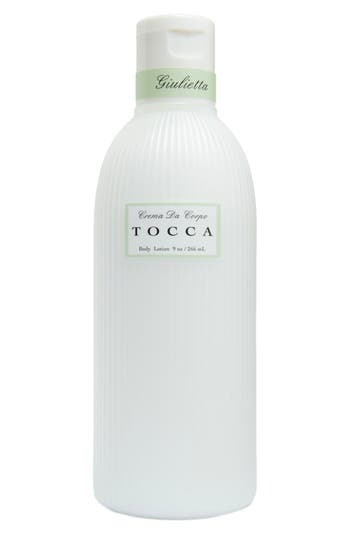 Style Name: Tocca 'Cleopatra' Body Lotion. Style Number: 619026. Available in stores. 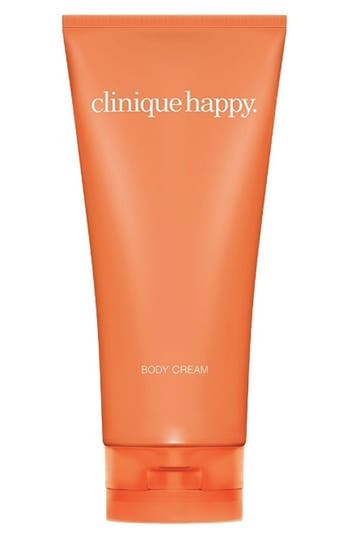 The Giulietta Body Lotion is an enriched body lotion with natural extracts from sweet almond oil, shea butter and honey to moisturize and soothe dry, sensitive skin. 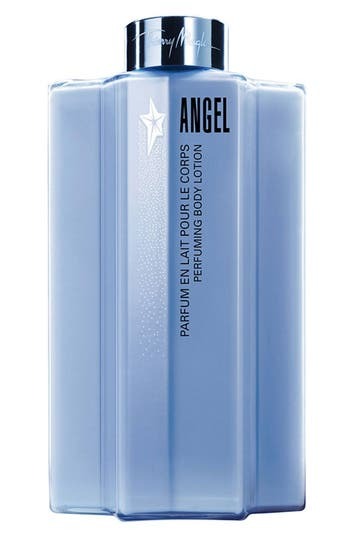 The luxurious formula absorbs quickly, leaving behind silky skin scented of pink tulip and green apple. Style Name: Tocca 'Giulietta' Body Lotion. Style Number: 619033. Available in stores.